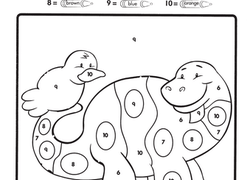 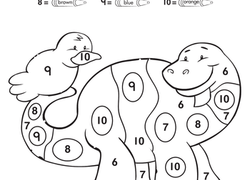 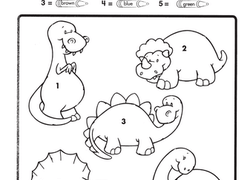 If you're looking for a simple and fun way to reinforce your preschooler's colour and number practise, this sweet dinosaur colour by number is just the ticket. 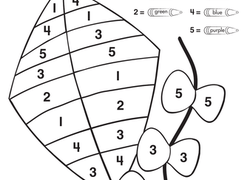 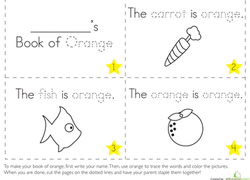 Practise colour and number recognition while working on his fine-motor skills with this worksheet, which challenges him to match colors with numbers. 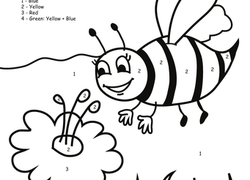 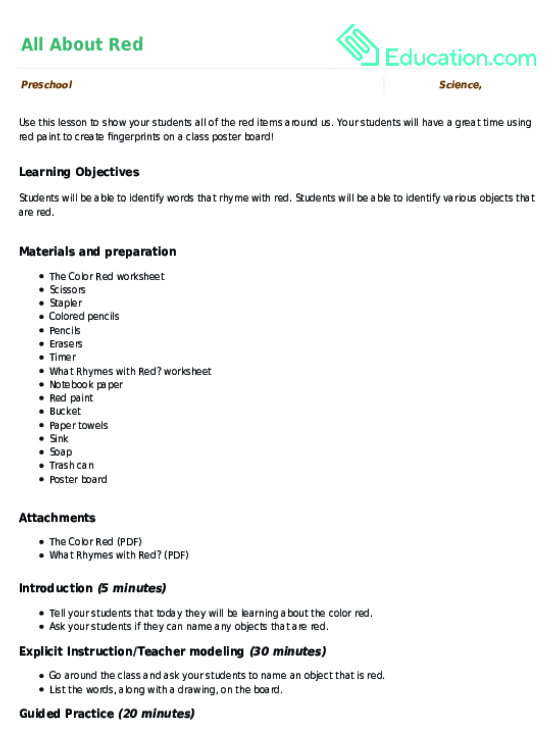 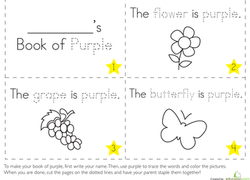 Give early learners a solid foundation for school by introducing colors in this lesson. 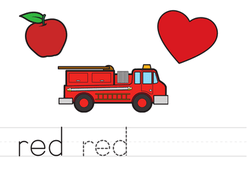 Learning the names of primary colors, and applying colour knowledge to familiar objects is a great way to start building communication readiness skills. 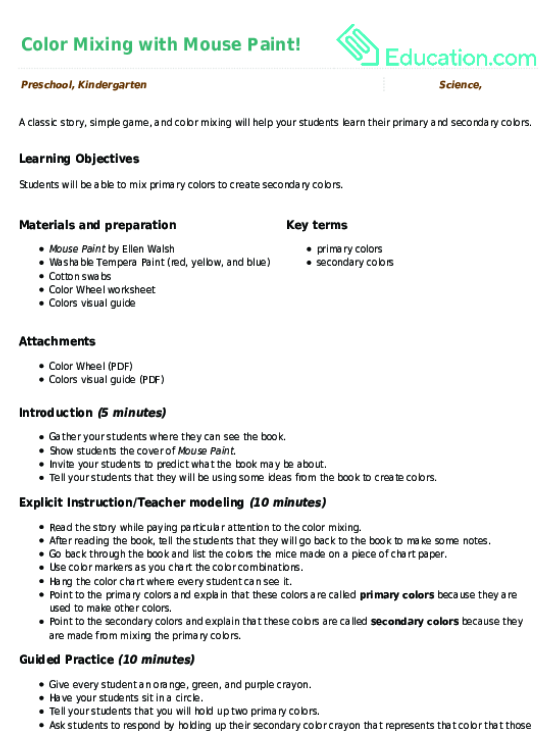 Encourage your students to explore the colour wheel with this hands-on activity that has the primary colors transform in front of their eyes. 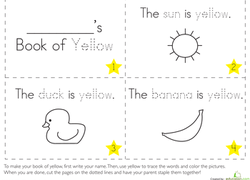 Simple enough for kids just starting kindergarten, this cute colour by number is a great way to build on your child's number and colour learning. 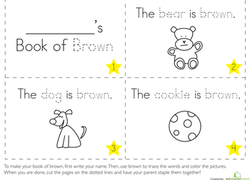 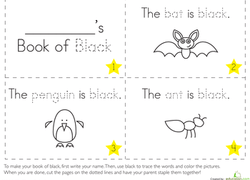 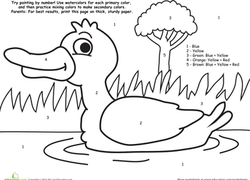 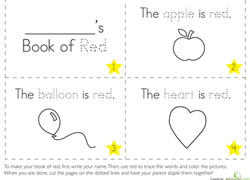 Help preschoolers practise one to one correspondence with these printables and a bag of Skittles! 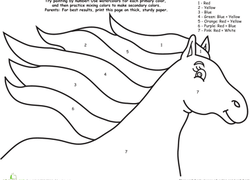 This horse doesn't want to be boring old brown; he wants to be all the colors of the rainbow! 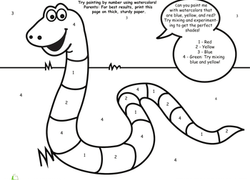 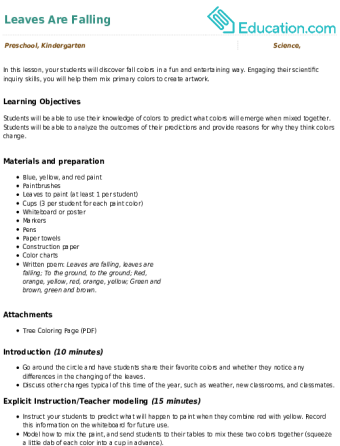 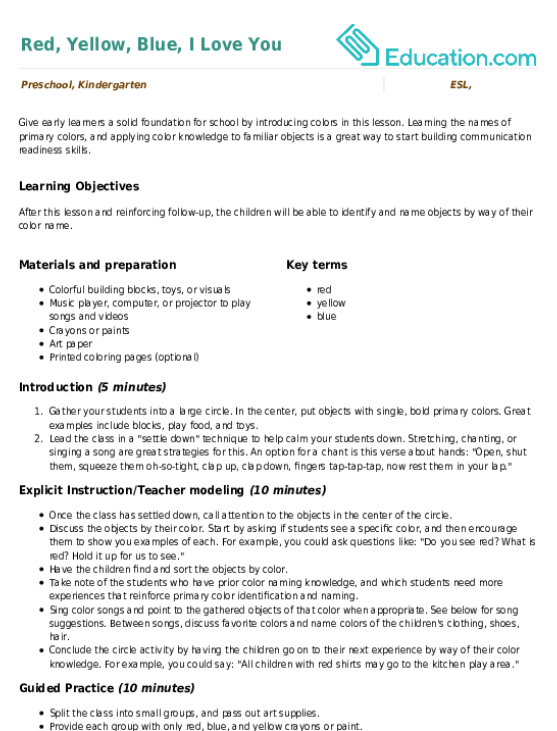 Can your child help him out? 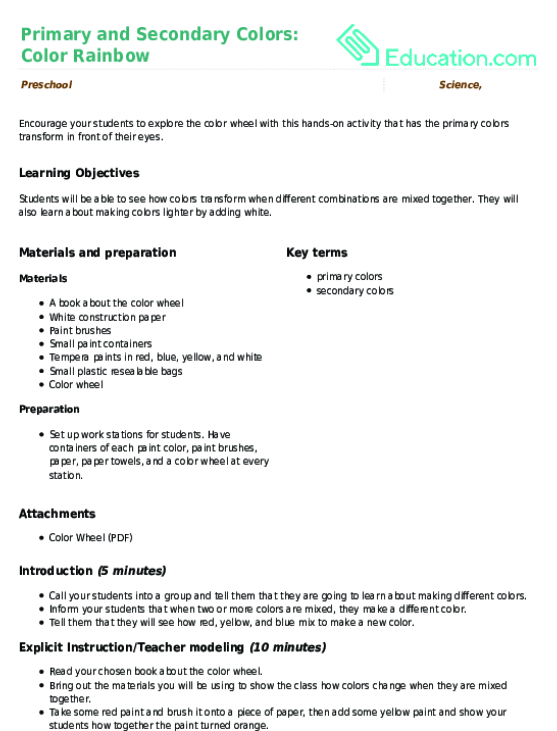 Colour Mixing with Mouse Paint! 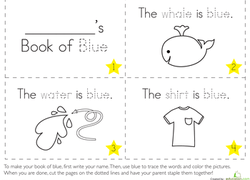 A classic story, simple game, and colour mixing will help your students learn their primary and secondary colors.